This Memorial Day weekend the Marine Corps and the entire military can take pride in the power, precision and class that former Marine and Silver Star recipient Brian Stann brought to his UFC 130 fight with fellow middleweight Jorge Santiago. Stann put on a clinic against Santiago on Saturday night, dispatching the Brazilian at 4:29 of the second round after a devastating right hook put Santiago on the mat. Stann immediately jumped on top of the dazed Santiago, and got in six more shots to finish the fight before referee Herb Dean jumped into to stop the bout. The first round also belonged to Stann. 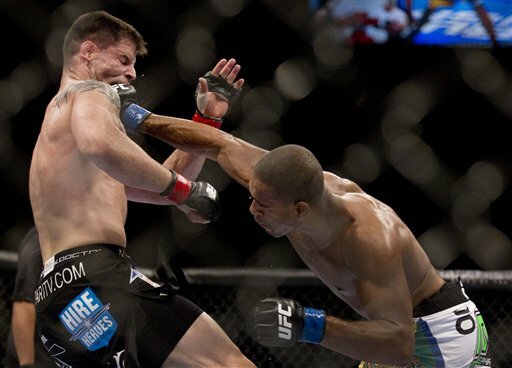 A left hook by Stann in the first sent Santiago to the canvas, and for a moment it appeared Stann may finish him. The former Marine pummeled him on the ground, but Santiago was able to escape and get back to his feet before the round ended. Throughout the bout, Stann took the action to Santiago. He connected with numerous leg kicks and seemed unworried about Santiago’s counter-striking. Santiago, known as a proficient grappler, was never able to take Stann down. 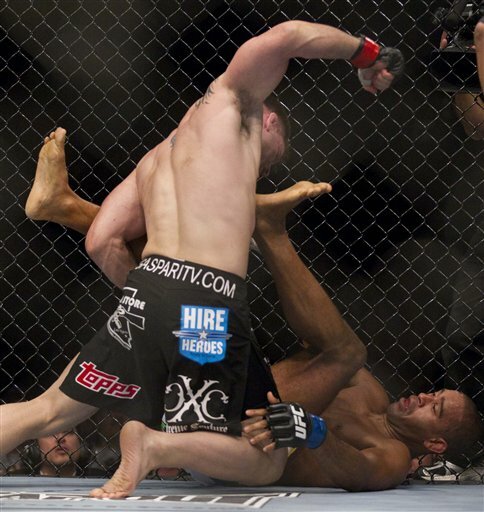 Shortly before the right hook that effectively ended the fight, Stann also stuffed a flying knee attempt by Santiago. Stann, an Iraq War veteran who earned his Silver Star for his actions as a platoon commander in 2004, paid tribute to the fallen service members and their families during his post-fight interview in the octagon. The victory is Stann’s third straight since moving to the UFC’s middlweight division. He’s 5-2 overall since joining the UFC in 2009.